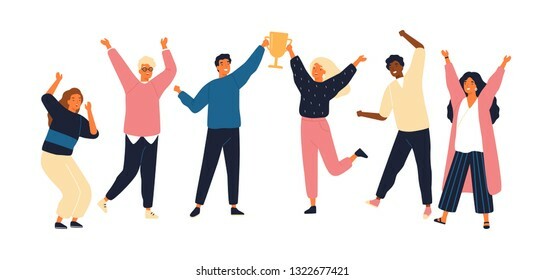 26144 place | Vector illustration in rank M-rank: Group of young joyful people with champion cup isolated on white background. Happy positive men and women celebrating victory and rejoicing together. Successful teamwork. Flat vector illustration.